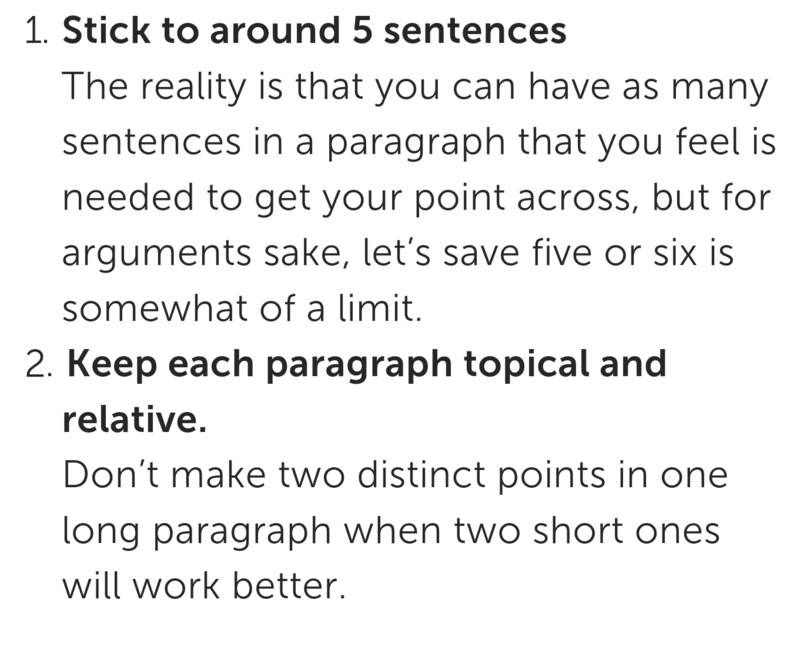 The reality is that you can have as many sentences in a paragraph that you feel is needed to get your point across, but for arguments sake, let’s save five or six is somewhat of a limit. Keep each paragraph topical and relative. Don’t make two distinct points in one long paragraph when two short ones will work better.